A vile warlord seeks to conquer our rich and peaceful lands. The warrior queen must put an end to this menace. The Margot Leather Underbust Corset encloses the royal waist with a solid defense while enhancing the noble stature. Stitching reinforces the durable structure of this lovely waist armour. 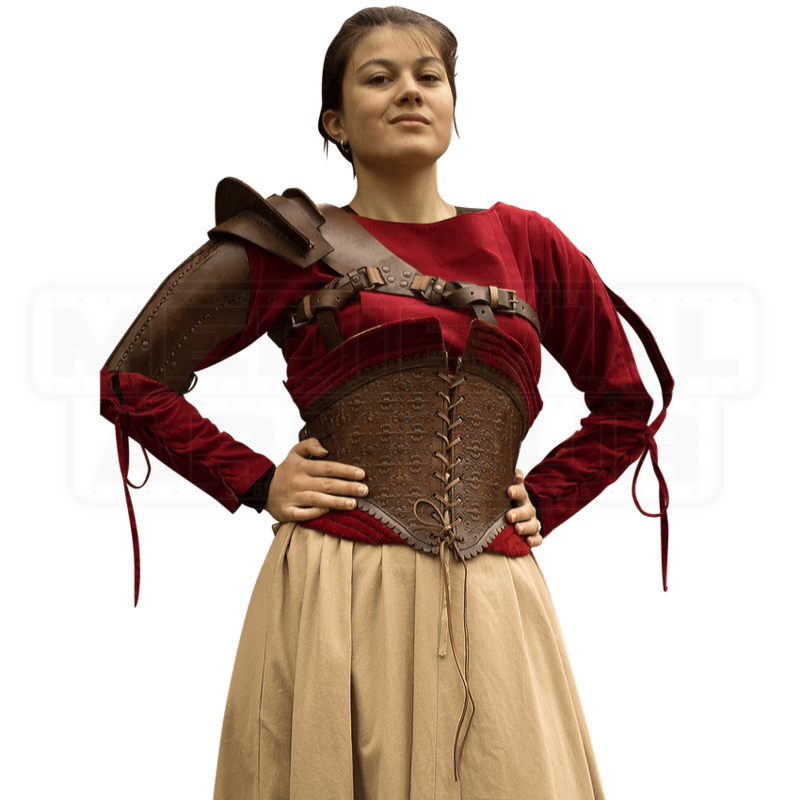 The corset is brown, with accent panels featured in the color chosen. A Medieval floral pattern enhances the elegance of the leather pieces. Soft, velvety fabric adds to the stunning style of its handmade design. 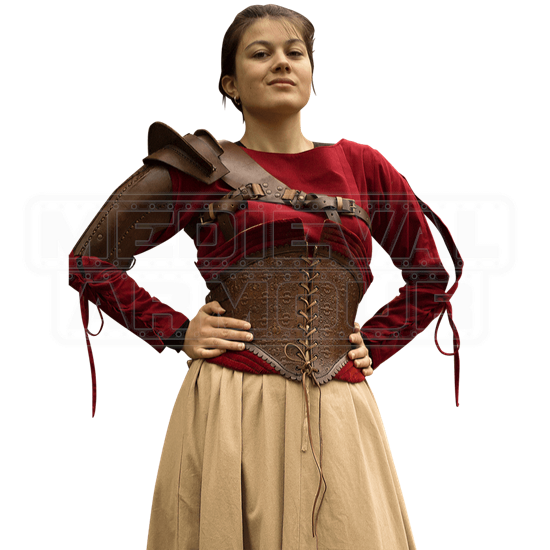 Whichever role your noble heart chooses to take, this corset armour is appropriate for LARP battle as well as costume events.